Not quite WWJD, bur close. The context here is that of a man divorcing his wife. It would be safe to assume that the context in this case is that of a heterosexual relationship. It would be stretching it quite a lot to bring the subject of homosexuality up at all in answering a question about a man divorcing his wife. Why would he do that? I can find no reasons to support the claim that Jesus said homosexuality is wrong. We shall have to look at other passages if we are to find it. “Eunuchs who have been so from birth,” in the context of the writings of the time was used for effeminate men. The stereotypical gay man is effeminate, but not all. I have known effeminate straight men too. Some have gone so far as to say that Jesus is condoning gay relationships here, but I find that inconclusive. He does not mention them having relationships, and the term homosexuality was not going to be coined for centuries. You did not define a person by their relationships back then, not even self definition. I’ll also say that I can find no evidence that they should not have relationships just because Jesus never mentioned it. That too is stretching things too far. Jesus is teahing that most people are created for heterosexual marriage. But not all, and he does not see that as not being legitimate. So there is no evidence that Jesus said homosexuality is wrong. To go back to WWJD, would Jesus discriminate? Jesus did however say “I tell you the truth, until heaven and earth disappear, not even the smallest detail of God’s law will disappear”. To find out what he thought about homosexuality – you have to look at the Law his Father gave in the Old Testament. It has already been written and scheduled for Tuesday. It’s part 5. Well, Neil the Bible is very clear on marriage and divorce and remarriage, but you happily turned a blind eye to that one when it suited you didn’t you? 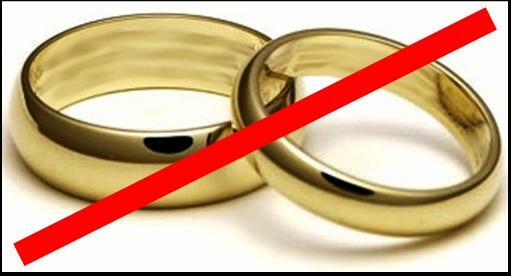 If homosexuals are doomed to lead celibate lives in the church, then so should divorcees who were not the INNOCENT party in a divorce. There are no other Bible reasons for remarriage after a divorce while the previous spouse lives and anyone marrying a divorcee is not married, but living in an adulterous relationship. Divorcees should have the same weight of celibacy laid on them as homosexuals – anyone saying otherwise (such as Bible believing Church Army officers) is just a hypocrite isn’t he? steven underwood, I have contacted Neil about your reply to his reply.